But one thing that we know for certain is that the Chinese market is full of opportunity. The United States shipped $384 million worth of dairy products to China in 2016, making it the industry's No. 3 single-country export market. We are awaiting final figures for 2017, but U.S. dairy export value to China through November was up more than 50 percent vs. the previous year, while volume rose more than 20 percent. With Chinese demand for imported milk and other dairy products increasing, the potential for U.S. exports is at an all-time high. And just recently, it was reported that China's economy grew at 6.9 percent in 2017, overshooting the government's original full-year target of 6.5 percent. "We are trying to create some level of certainty in a very uncertain world for the industry," USDEC Senior Vice President Jaime Castaneda said. "This is why we visited China last week to meet with government and industry officials." 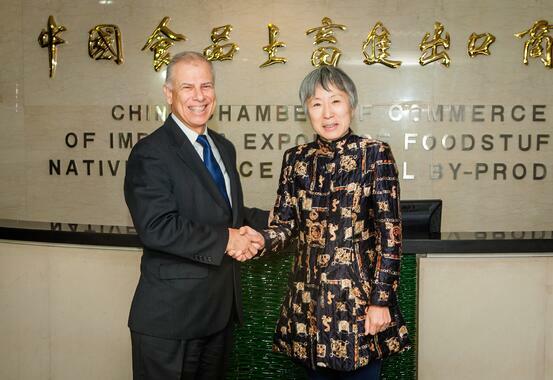 Jaime Castaneda, USDEC senior vice president, met with Madam Yu Lu of the China Chamber of Commerce for Import and Export of Foodstuffs and Native Produce. 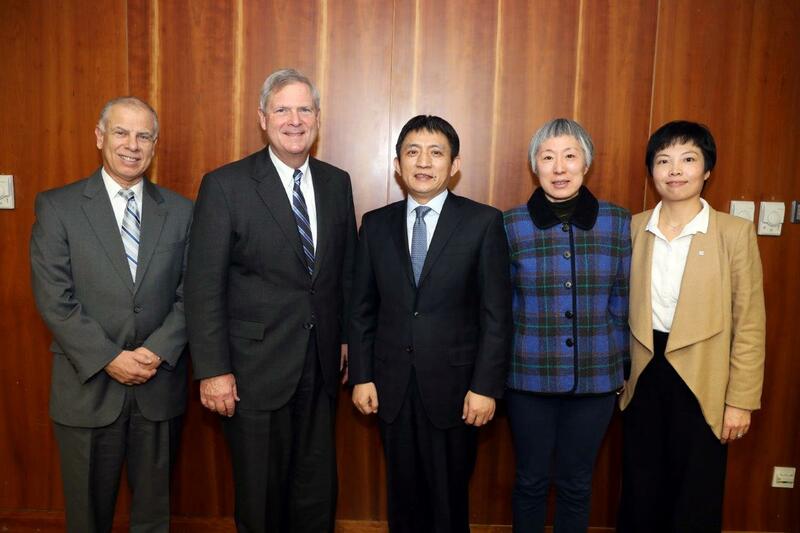 From left, Jaime Castaneda, USDEC senior vice president; Tom Vilsack, USDEC president and CEO; Li Chenggang, assistant minister of commerce in China; Madam Yu Lu, China Chamber of Commerce for Import and Export of Foodstuffs and Native Produce, and Chang Su, of USDEC's China office. As many of you are aware, the dairy industry celebrated a great success in November, with the announcement that China was unilaterally lowering its cheese tariffs from 12 percent to 8 percent. See news release. USDEC president and CEO Tom Vilsack, right, also met with U.S. Ambassador to China Terry Branstad. 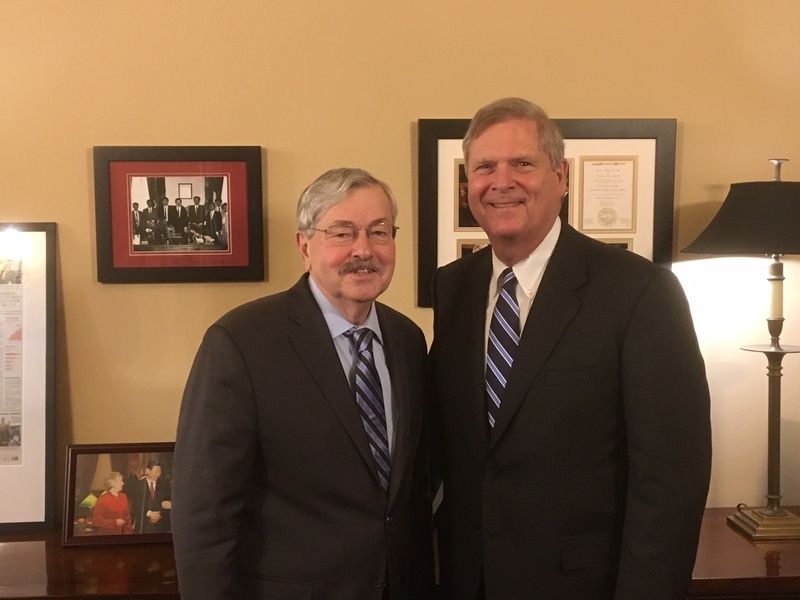 Both Branstad and Vilsack are former governors of Iowa.